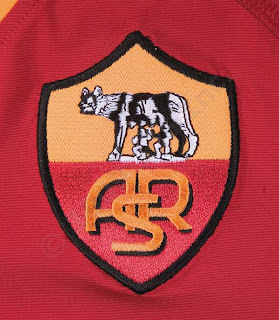 The Giallorossi are ready for the 09/10 season, and we've got the gear Totti & company will be sporting, including the cool black third shirt with the unique badge. The colors are the same, as the Wolves normally favor Red & yellow for their home shirt, white for the away and black for their Third jersey. Yet this season's range offers a broad array of redesigns you have to see, and wear, to grasp. All three quality Kappa shirts are made of 87/13 polyamide/lycra for moisture-control and flexible fit.